Adjust the airflow around your home in 5% increments so everyone enjoys their own comfort zone. Save money on the power bill, without compromising on comfort by only running the AC where you need it with Smart Zoning. 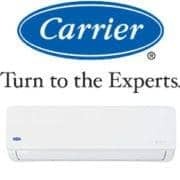 Plus with runtime tracking, energy and airflow management technology, you can enjoy greater efficiency and energy savings from your family’s air conditioner. Global Control of your home climate wherever you are. You won’t have to come home to an oven in summer or a freezer in winter. Our newly developed AirTouch 4 App gives you the same level of control of your air conditioning as the touchscreen console, allowing anyone with a smartphone or tablet to set their own personal comfort level in the room they are in. 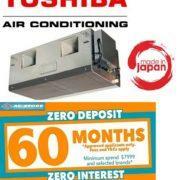 Never come home to a hot house in summer, or a cold one in winter again! With the AirTouch 4 App you can turn on the climate control, set the mode and fan speed, and adjust the temperature when you are out so you can come home to a comfortable house. When no one is home, the App can send you a temperature alert if home is getting too hot or cold, inviting you to turn on the air conditioning remotely. 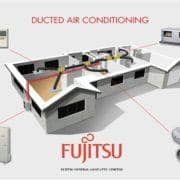 You can even turn off your system away from home to make sure that you don’t waste energy cooling or heating an empty building. 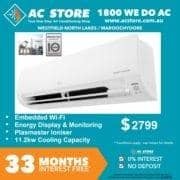 Voice control of your air conditioning. AirTouch works with popular and open voice activated smart assistants like Amazon Alexa and Google Assistant. 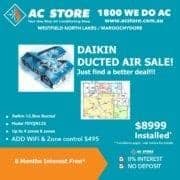 So with whoever you choose to control your air conditioning, AirTouch will respond. Not every home is designed equal. Not every room is either. If your home is like many, temperatures can often fluctuate from one room to the next because of sunlight, room activity or other factors. With optional Individual Temperature Control Technology (ITC), AirTouch monitors temperatures and smartly adjusts airflow as needed around your home with the aid of multiple wireless temperature sensors instead of a single sensor in 1 location. When some rooms get too hot or cold, AirTouch will adjust their airflow to maintain temperature, without wasting conditioned air on rooms already comfortable. It also enables you to adjust the set point temperature for each zone. With ITC, you get an additional wireless On/Off switch for each zone in your home which also doubles as the smart wireless temperature sensor.